Introducing mod that adds a nice variety of dragons to our Minecraft. 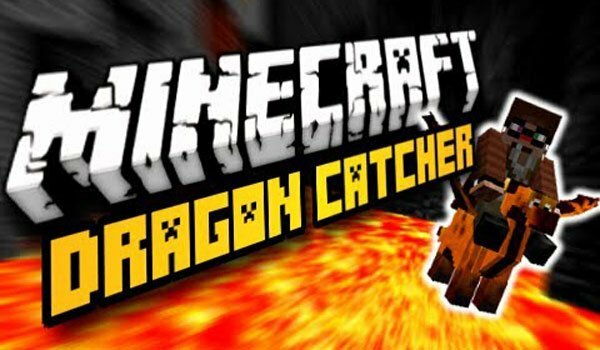 Dragon Catcher 1.4.5 is a mod that besides adding dragons, you can tame them and use them as partners in your Minecraft adventures. These dragons appear as the biome in which we find ourselves, although some are found near the lava and other near water. Once we have domesticated some dragons, we can also make them breed using wheat , like any other animal. The mod also adds new materials with different functions. To mount our dragons we’ll need a chair. How to install Dragon Catcher Mod for Minecraft 1.4.5? Paste Forge API files . Domestic and breeding dragons in Minecraft!